Leading global coding and marking specialist Linx Printing Technologies has strengthened its presence in Germany with the appointment of a new distributor partner. ELRIED MARKIERUNGSSYSTEME, of Oberhaching, which has over 50 years’ experience in the German coding industry and a large and well-established customer base, is expanding its range with the introduction of the Linx IJ355 and IJ375 large character case coders. ELRIED will be the exclusive distributor for these coders in the country. Both models provide an ideal solution for high definition printing onto cartons as a replacement for labels or printed boxes, helping to keep costs low. ELRIED is creating an exclusive, dedicated homepage on its main website for the Linx coders and establishing a training programme for its staff to fully integrate these products into its sales and service organisation. The introduction of the new coders will also be supported by a comprehensive marketing campaign including advertising, media relations, social media and exhibitions. Founded over 25 years ago, Linx Printing Technologies is a leading global supplier of coders, which are used across many different industries where product identification codes, batch numbers, dates and barcodes are required. All Linx products are designed with low cost of ownership in mind and are distinguished by reliability, robustness and ease of use. 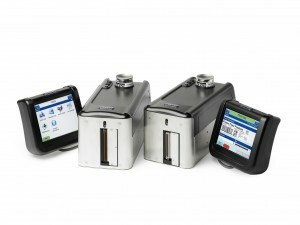 Linx printers code and mark millions of items every day, ranging from bottles, packages and cans of consumer goods to pharmaceutical products, cabling, electrical components and car parts. Linx is based in St Ives, UK and employs more than 300 people globally. ELRIED says the arrival of the Linx IJ355 and IJ375 fills an important gap in its portfolio and will play a key role in enabling the company to continue to develop and expand its coding and marking business.